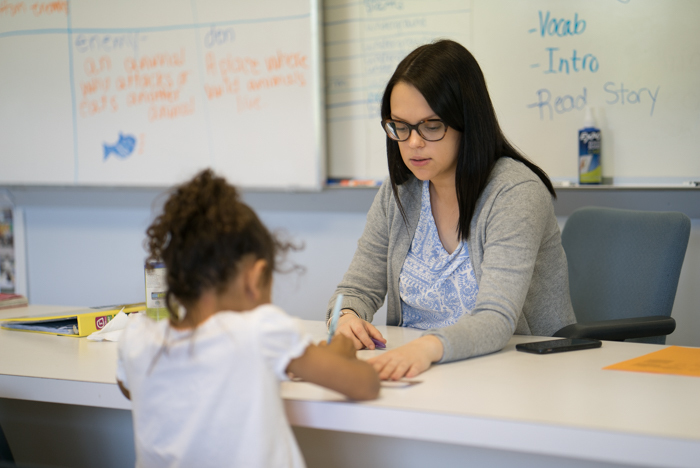 At Centennial School, all students are taught at their instructional level based on their Individualized Education Programs (IEPs), ongoing assessment data, and the PA Common Core Standards. Teachers use standardized measures to determine appropriate instructional levels and assess student progress. Throughout the school year, teachers monitor progress towards students’ IEP goals and use data to make instructional decisions to maximize student progress. Teachers employ active engagement strategies, including technology integration to engage students in classroom lessons. Furthermore, students receive performance feedback and direct instruction in social skills. The goal of all of the programs is to teach and prepare students to return to a less restrictive environment, ultimately a general education classroom in the public school setting. Consists of three self-contained classrooms with students ranging in grades kindergarten (minimum age entry 6) to five. The focus of instruction is on reading, writing, math, and social skills that provide the foundation for all other learning. Teachers use components of a direct instruction model, explicit instruction, clear expectations, and structured routines to foster independence and coping skills. Teamwork and a sense of community are emphasized through cooperative learning groupings and planned social activities. Consists of three classrooms with students ranging in grades six through eight. To promote student-teacher-peer relationships a team teaching approach is employed. Students follow a bell schedule and change classrooms to receive instruction from varied teachers throughout the day. Students are assigned a homeroom where they start their day, participate in an academic and social enrichment time in the morning, share lunch together with their peers and teachers, and return for study hall and dismissal. These designated homeroom times provide an opportunity for building relationships, receiving extra individualized assistance, and socializing with one another. Students receive instruction in reading, language arts, mathematics, social skills, gym, health, history, science, introductory career and postsecondary transition activities. Consists of five classrooms with students ranging in grades nine through twelve (maximum age 21). There are two primary components of the program: academic and post-secondary transition. Student educational needs are defined in the Individualized Education Program with an emphasis on post-secondary goals. 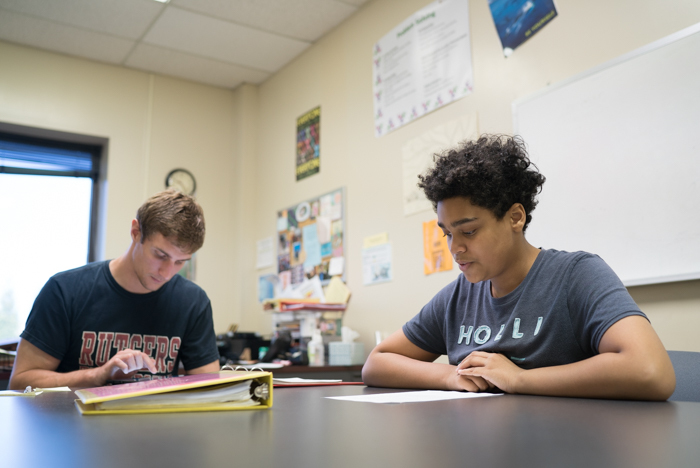 Students receive instruction in language arts and literature, mathematics, career development, health, physical education, science, social studies, and other transition related courses. Students transition from class to class throughout the day. All of the high school students participate in the In-School Jobs Program (http://isj.weebly.com) ISJ/career development as part as the transition focus of the program. The program provides students with career exploration and supervised, simulated work experiences within the school environment. Students learn technical skills such as resumes, applications, and job skills for obtaining and maintaining employment, that include interviewing, accepting corrective feedback, communicating with co-workers, calling off of work, and resigning from the job. A student completes a reading probe with a teacher. Teachers design engaging lessons to meet the needs of all students. Elementary students work together to code their robots, Blue Lightning and Pixels. During the 2016 school year, students programed the robots to follow the school-wide expectations.